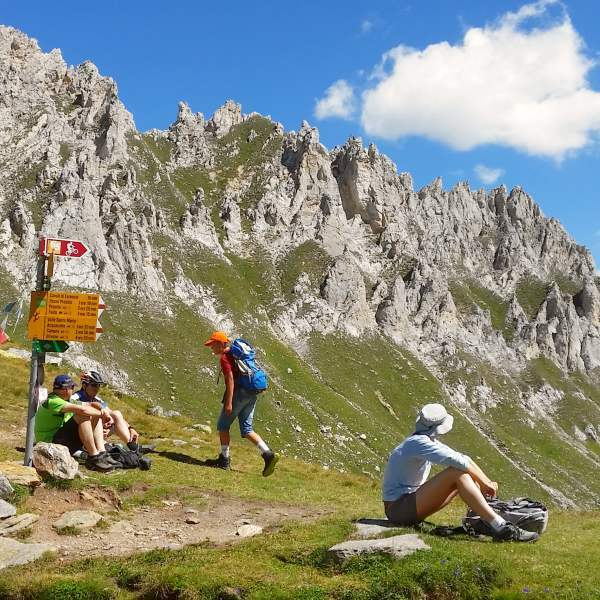 Our guided hiking tour in the Valais takes you through one of the most fascinating regions of Switzerland, which embraces both German and French speaking cultures. 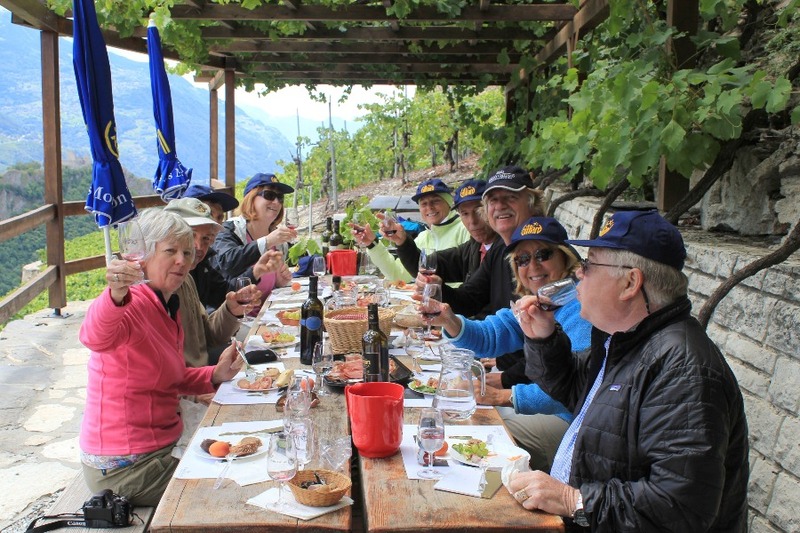 The Valais is big gash in the chain of the Alps, a beautiful and verdant valley, at whose bottoms runs the Rhone River, on its long journey to the Mediterranean Sea. 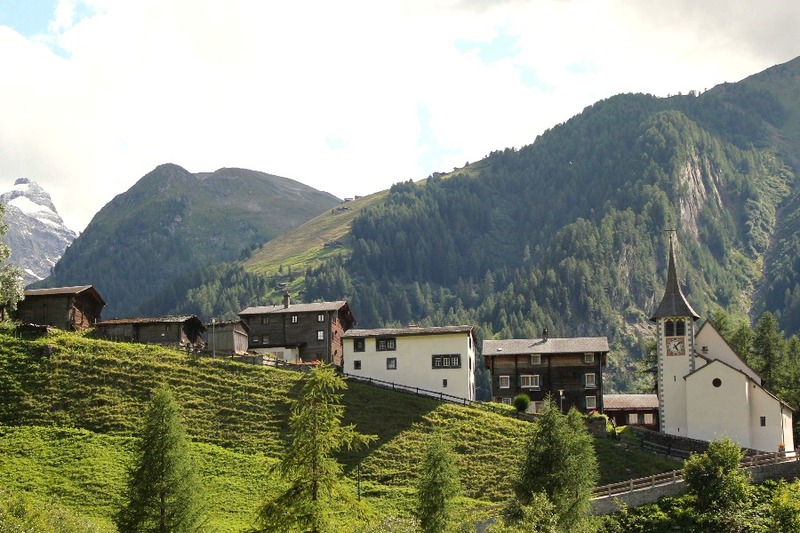 It is a splendid alpine environments, with glaciers swooping down from the side of the mountains, and small towns and villages, deeply rooted in history and culture, and with a unique architecture. 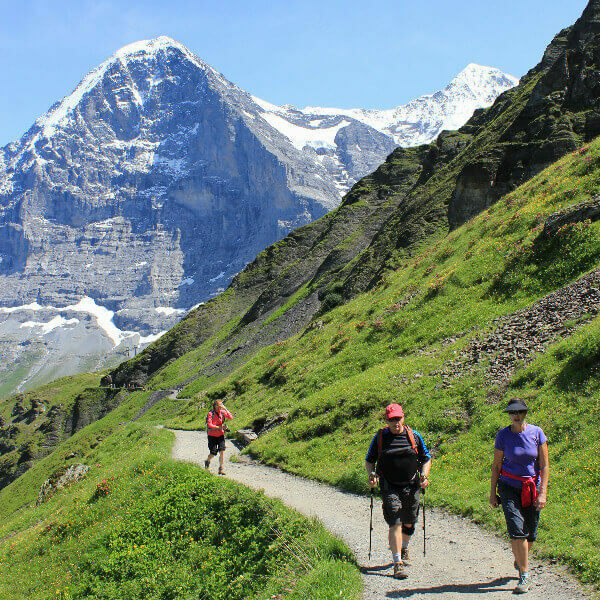 Famous mountains such as Mönch (4107 m./13474 ft.), Jungfrau (4158m/13641 ft.), and Finsteraarhorn (4274 m/14022 ft.), separate the Valais from the Bernese Oberland, in the north side. 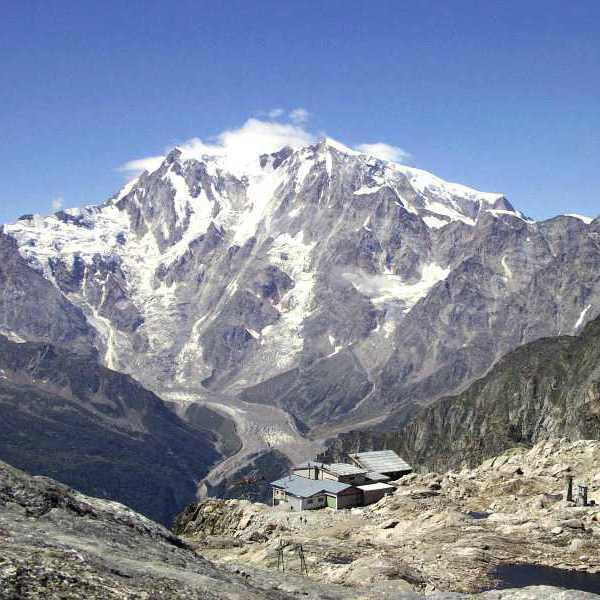 Its Southwestern region, bordering with Italy, includes most of the highest peaks in the Alps. Amongst them, Matterhorn (4478 m/14691 ft.), Dom (4545 m/14911 ft.), Weisshorn (4506 m/14783 ft.) and Monte Rosa massif, whose soaring point, Dufourspitze (4634m/15203 ft.), is the highest mountain in Switzerland and the second highest in Western Europe after Mont Blanc. 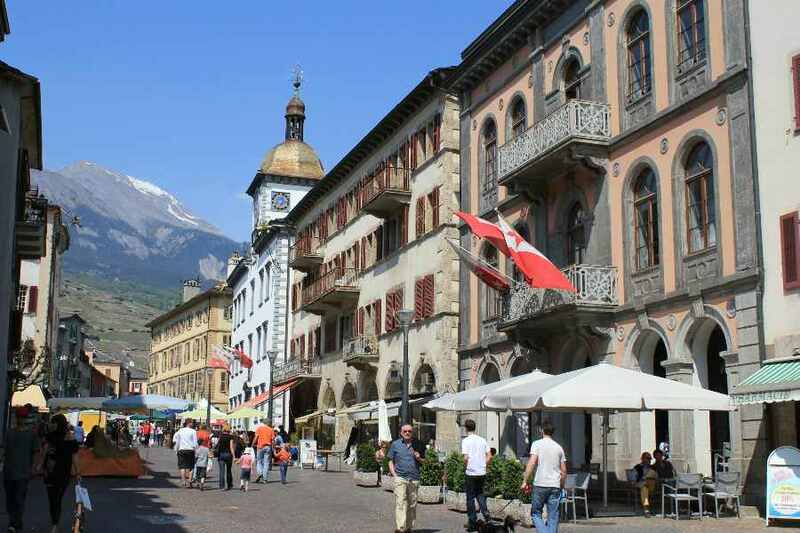 We start our hiking tour in Sion, capital of the Valais, guarded by 13th century castles and the 11th century Basilica of Valère, which houses the oldest working pipe organ in the world. 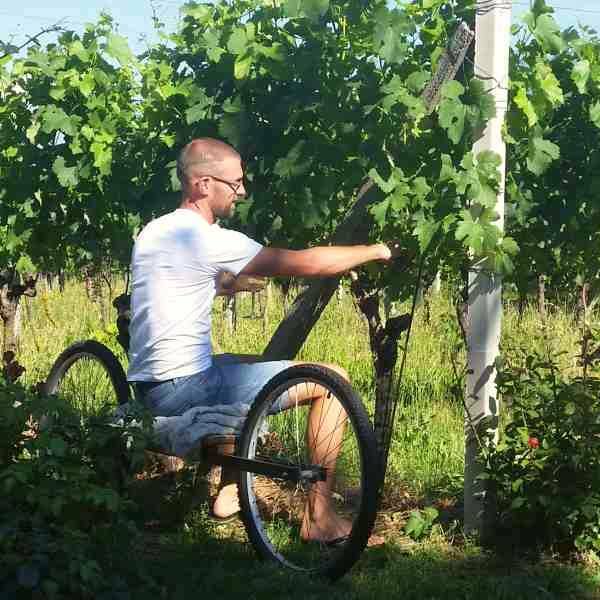 The area is also famous for its exquisite wines, and we will enjoy a wine tasting at an exclusive location. 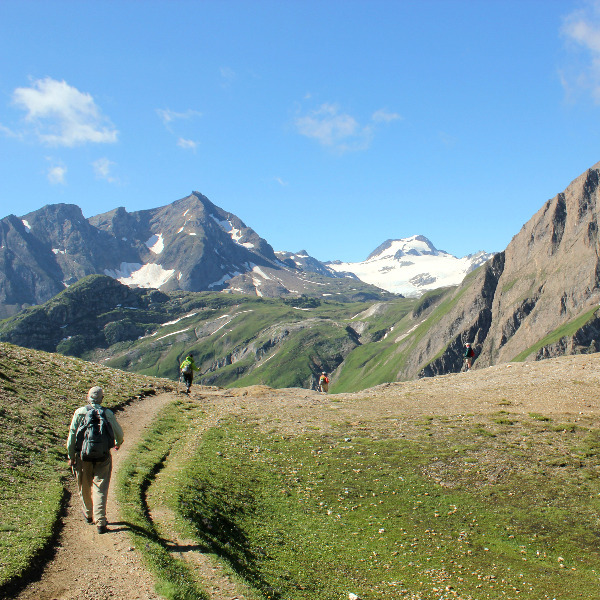 Our escapades take us into the valleys near Sion. 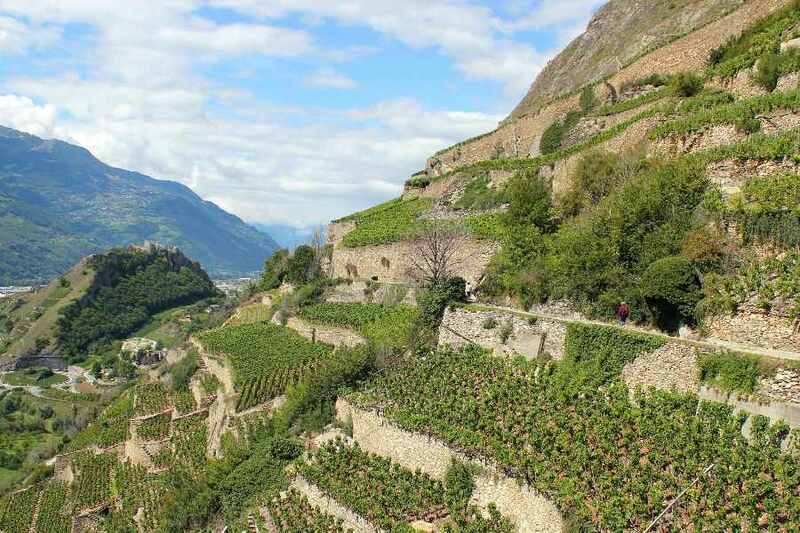 We will walk along the famous “bisses”, irrigation canals, unique of the Valais, built as early as the 13th century. Most of the bisses present some exposed but very safe stretches and the hike can be adjusted according to level of comfort. 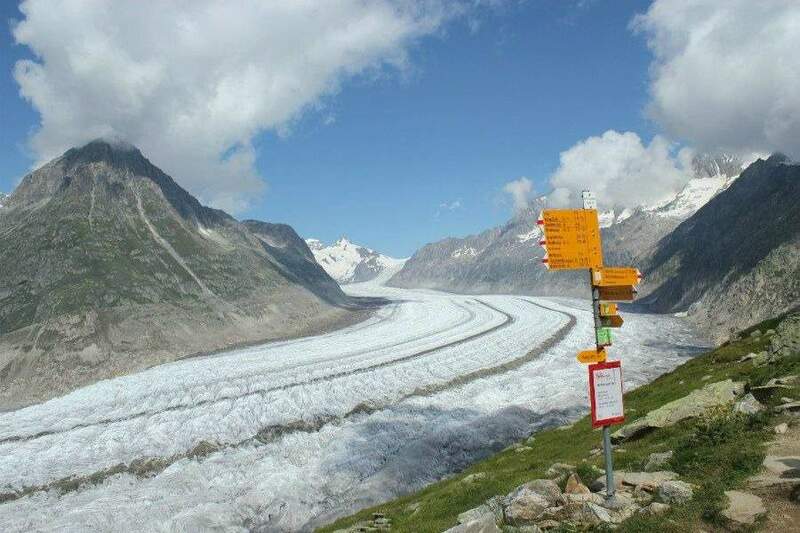 In Eastern Valais, we explore the Jungfrau-Aletsch UNESCO World Heritage Site, a magnificent mountain landscape, which includes the Aletsch glacier, the largest glacier in Eurasia, and beautiful forests of Swiss pine. We venture into the Binn Valley, celebrated and respected for its biology and the wealth of minerals found inside its mountains, some of which unique to this area. 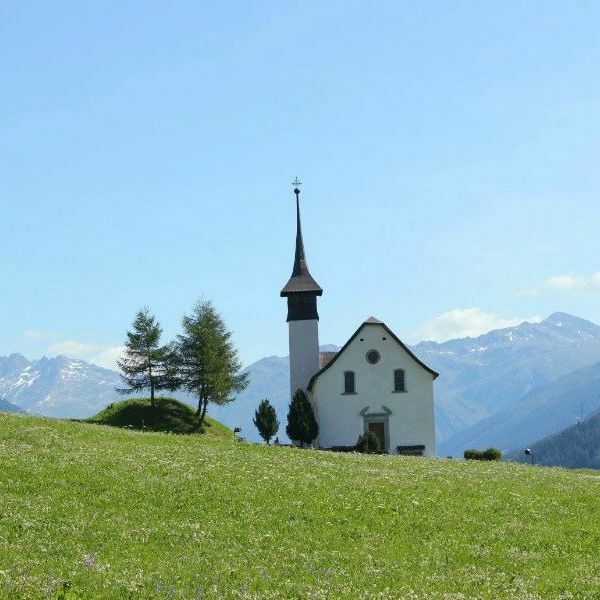 A hike amongst the typical villages of this area of Valais is a must to get to know the history and culture of this region of Switzerland. 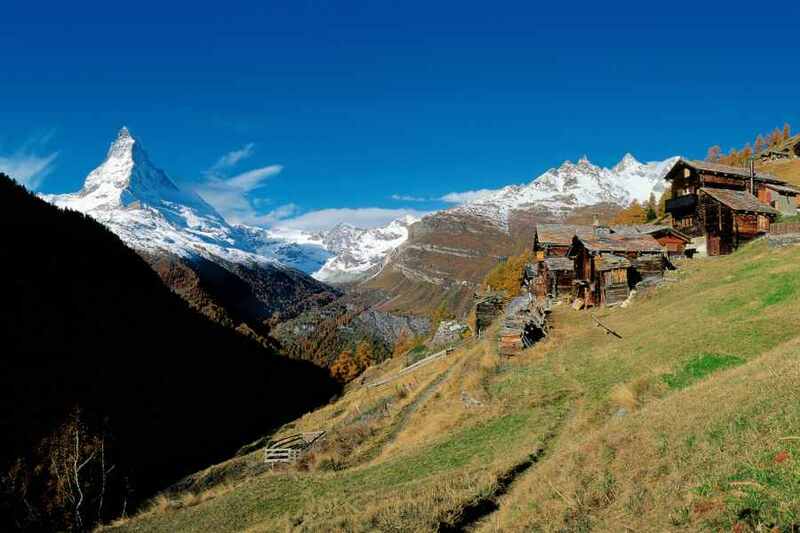 Finally, we enjoy Zermatt, and its surrounding environment, where a crown of mountains, including Monte Rosa and the Matterhorn, and swooping glaciers present the majestic background to a playground for true hikers. Are you looking for a more relaxed vacation? No problem. Aerial tramways and cogwheel trains make it possible to reach breath taking vantage points without the exertion of a hike.